A majority of all new in-ground pools that are installed in the U.S. use a salt system. So why the switch? 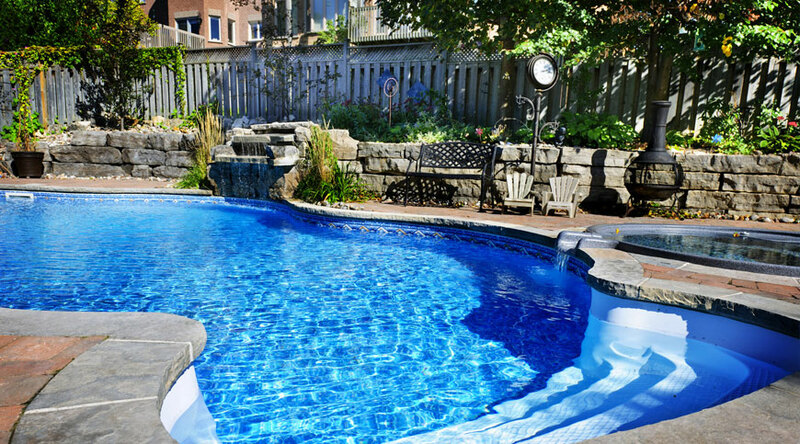 Let us first preface by saying no matter what kind of pool you choose, there will always be required maintenance. However, salt water pools are much more convenient than chlorine pools because you won’t need to worry about constantly adding chemicals on your own. When you install a salt system in your pool, that system will automatically convert salt to chlorine and add the necessary amount to your water. Since you won’t need to stock up on the chemicals needed to chlorinate your pool, you’ll also cut your pool maintenance costs significantly. You might spend hours every week vacuuming the bottom of your pool, skimming the surface, and keeping the water balanced. Despite your best efforts, however, you may still find calcium buildup on your pool tiles. Hard water, heat from the sun, and the pH and alkalinity levels in your pool can all cause calcium buildup to form. When it does, it’s important that you try to remove it as quickly as you can. If calcium deposits are left to fester, they can not only make your pool look dirty and uninviting, but they can actually cause damage to your pool and essential equipment, such as the filter. If you own a pool, you probably know first-hand how frustrating it can be to discover the presence of algae just as you’re about to take a dive. One day, your pool is clear and inviting, and the next it has green, yellow, or even black algae could be creeping into place. It can prove to be a real inconvenience on the days where it’s just too hot not to take a dip and, can be very problematic if left untreated over time.